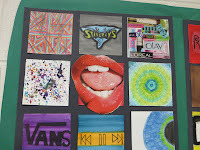 This project is a repeat of last year, but it worked out well. 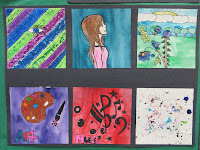 It is a great way to get to know the students, for them to get to know each other, and for them to experiment with different mediums. 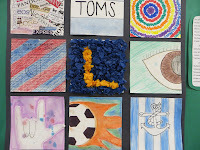 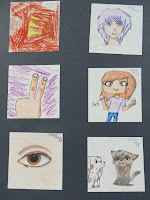 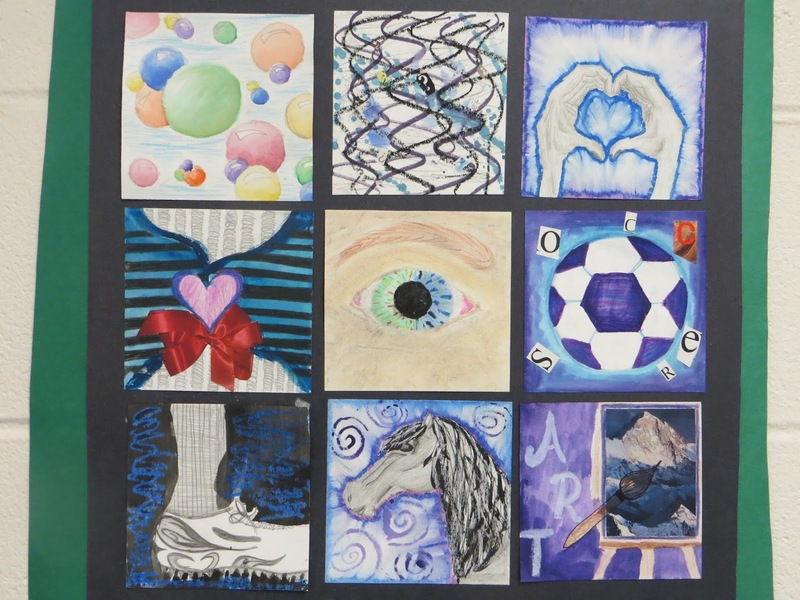 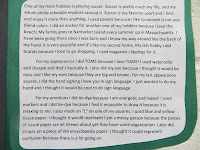 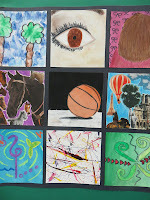 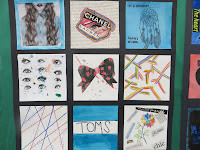 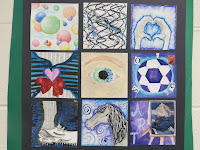 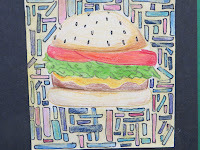 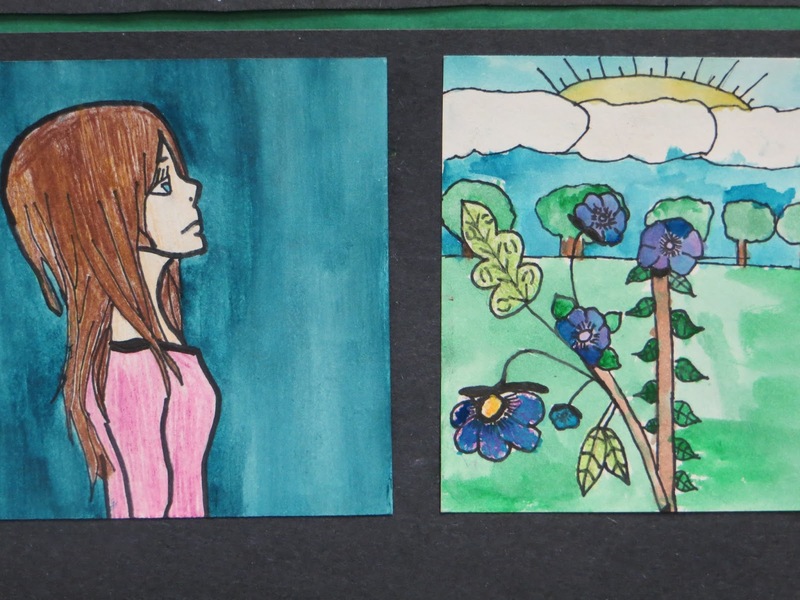 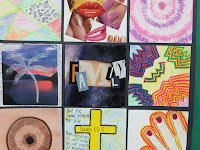 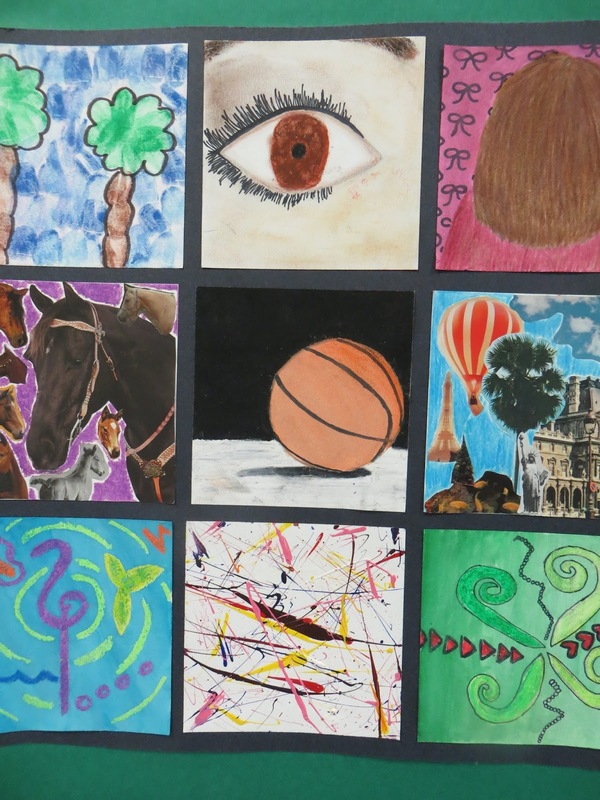 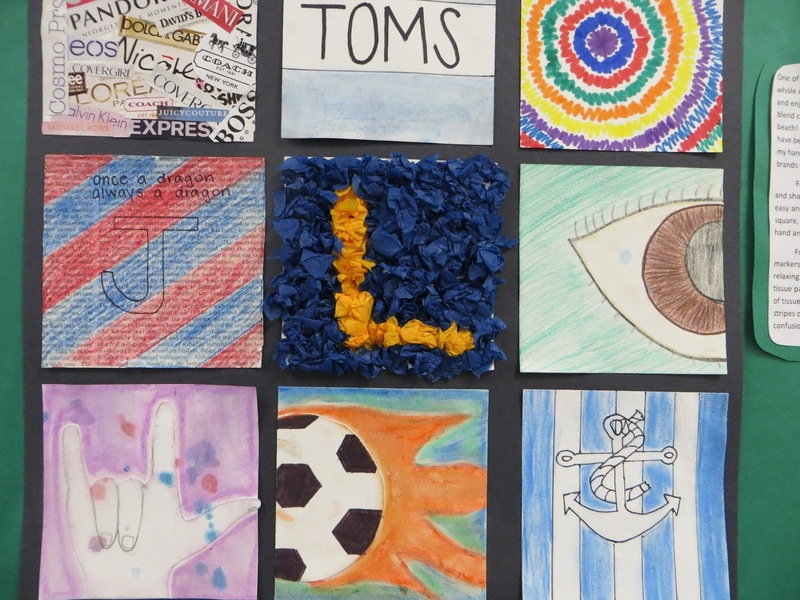 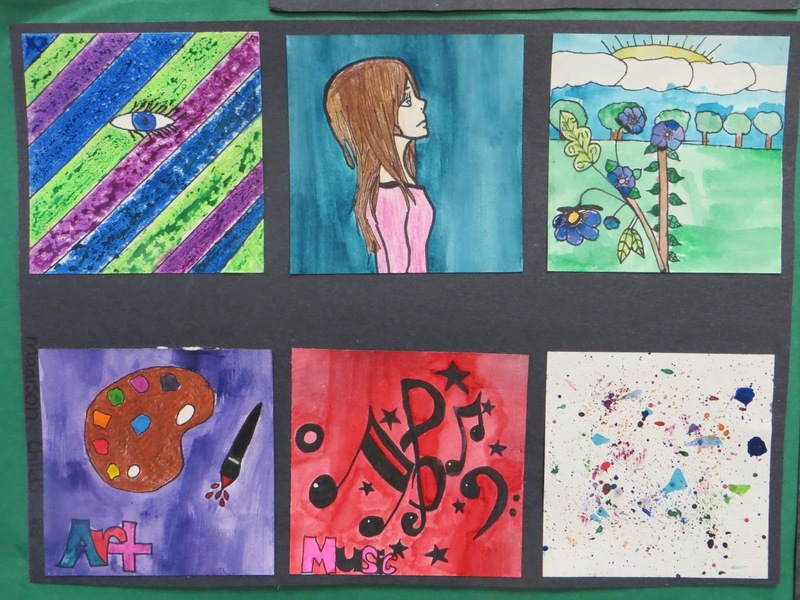 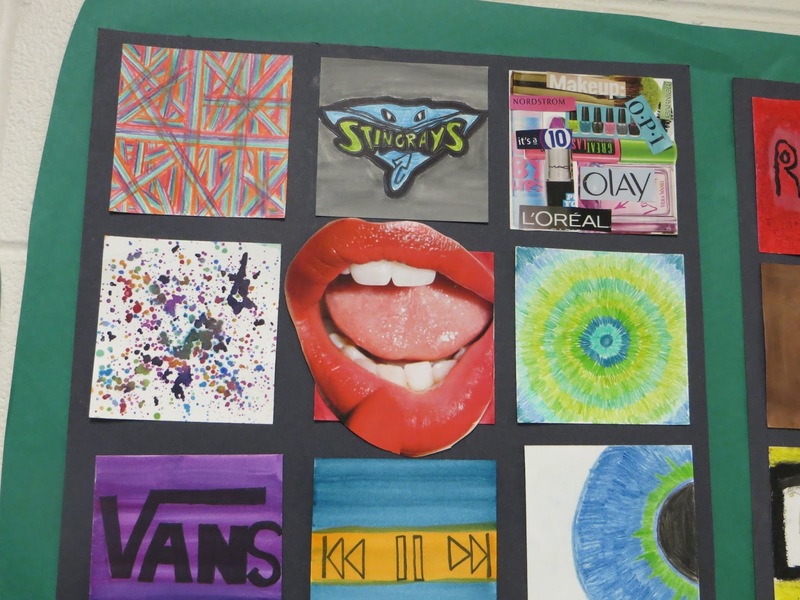 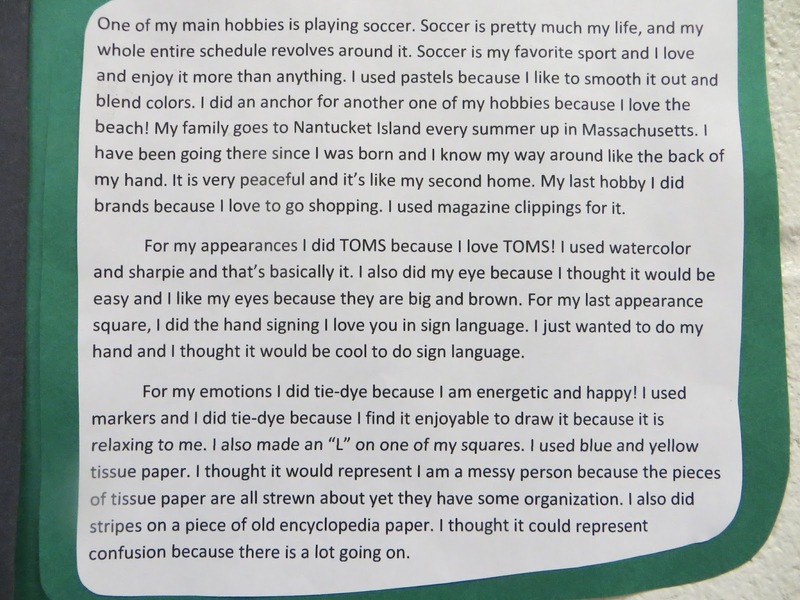 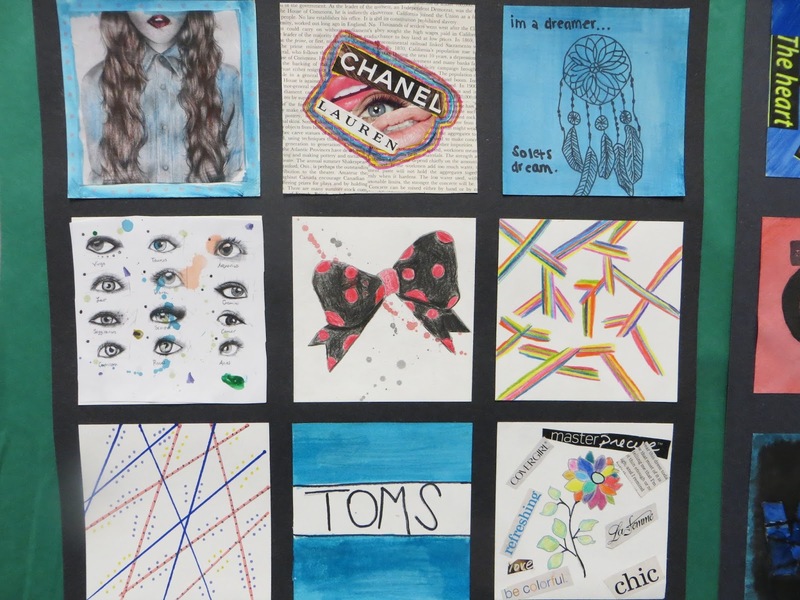 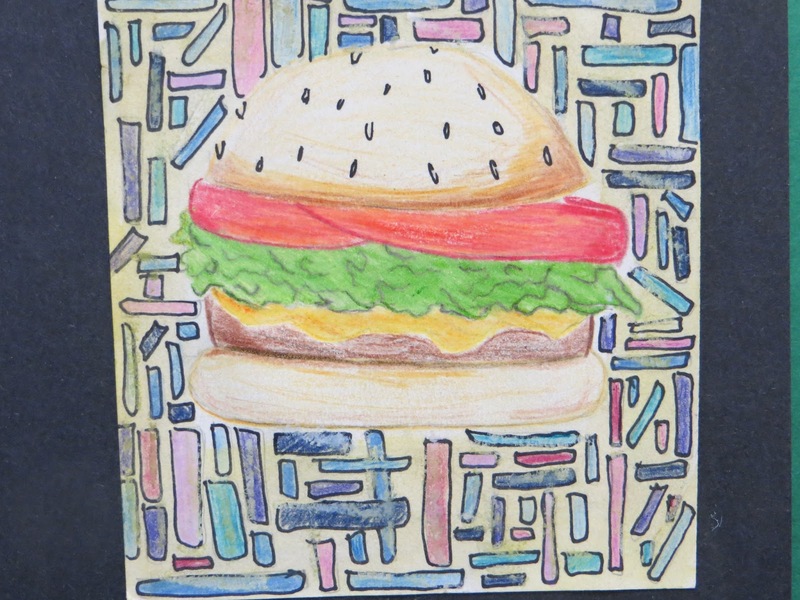 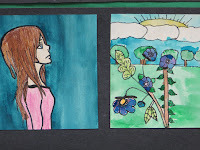 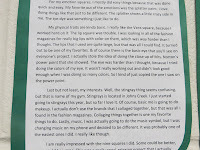 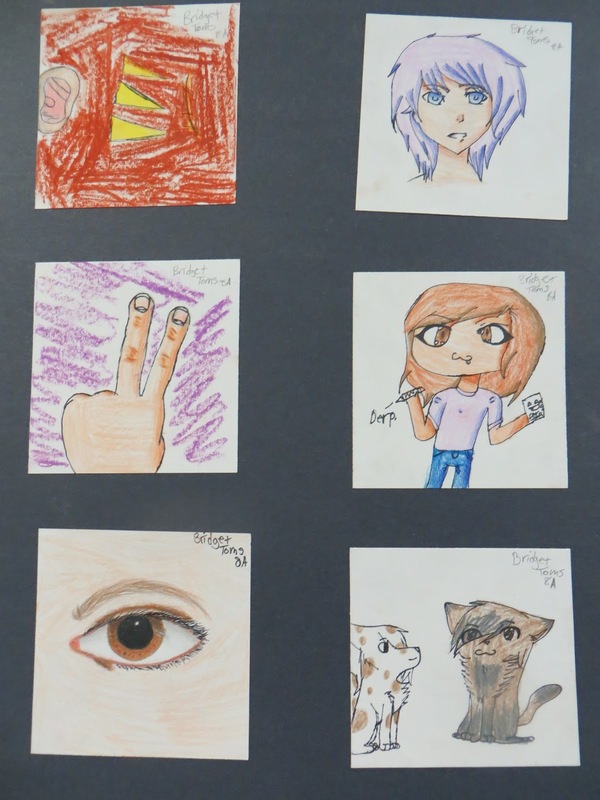 The students had to create three squares that were abstract and/or an emotion, three squares that represented their interests, and three squares that were physical traits (including clothing labels). 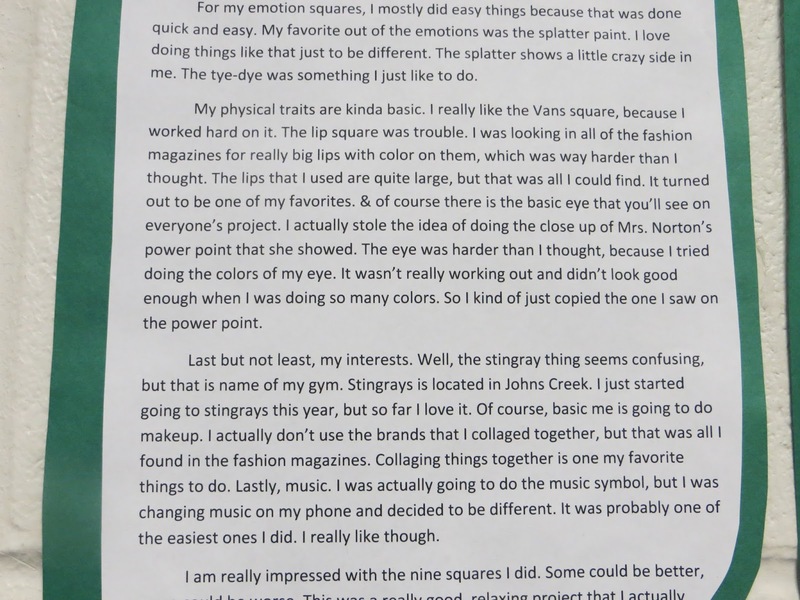 They then had to write a reflection.